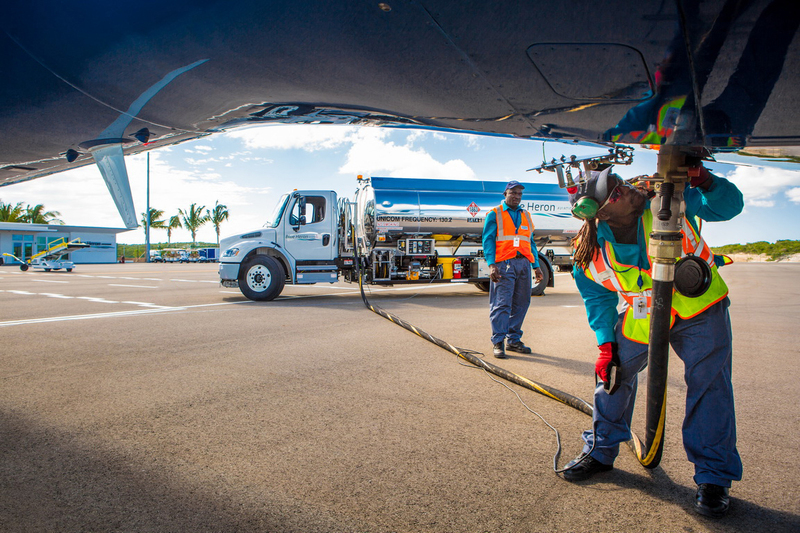 Avfuel has welcomed Blue Heron Aviation (MBPV) to its branded network of independent FBOs, offering operators the benefit of Avfuel programs including Avfuel Contract Fuel and AVTRIP rewards. Under private ownership since opening in 2014, Blue Heron Aviation is based in the Turks and Caicos and handled 50% of private jet travelers arriving at the islands. The FBO features a state-of-the-art 7,000ft² (650m2 ²) building built in a contemporary design and 12 acres of paved aircraft parking able to accommodate up to a Boeing 757-200. Its team represents more than a decade of professional ground handling and fuel services and its services include in-house customs and immigration, concierge services, aircraft cabin cleaning, catering, coffee and ice, foreign newspapers, dishes, laundry, and a luxury lounge and conference room. Roger Murphy, Blue Heron Aviation’s general manager, said, “Our ethos is ‘Safety & Service First’. This ethos permeates every decision we make at Blue Heron Aviation—which includes our decision to partner with Avfuel as a branded location, as Avfuel also embraces a customer-first approach. This can only benefit our operation and those who choose to fly in to our FBO.